Enrique Iglesias is gearing up to release a another hit single! “Después Que Te Perdí” featuring Jon. Z is coming on March 13th! Enrique Iglesias took to social media to share a sweet photo of him and his daughter Lucy in honor of National Women’s Day. Enrique Iglesias did an international press day in Miami, FL yesterday afternoon. Enrique Iglesias was seen out in Fort Lauderdale, FL last night. Enrique Iglesias performed at Fiesta Del Lago in El Calafate, Argentina last night. Enrique Iglesias performed at CaliBash at the T-Mobile Arena in Las Vegas, NV last night. Gerardo “Rico Suave” Mejia took to social media on Thursday to share a photo of him with Enrique Iglesias and Enrique’s manager Fernando Giaccardi out to dinner in Miami, FL last night. Enrique Iglesias was spotted out to dinner in Coral Gables, FL on Friday night. 2018 has been an incredible year for Enrique Iglesias that has been full of amazing achievements. 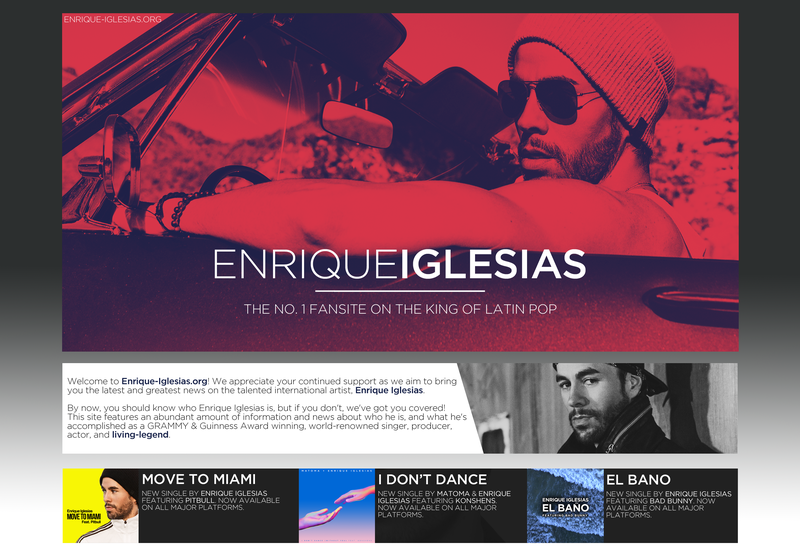 From releasing hit singles to touring the world, 2018 was an extraordinary year for Enrique. Enrique Iglesias performed at The Pointe Palm at Palm Jumeirah in Dubai Tonight.